Watford are one of three teams still on maximum points in the Premier League after they came back from a goal down to beat Tottenham 2-1. Both sides went into the match at Vicarage Road with 100% records so something had to give and, after a goalless first half it was Spurs who struck first, courtesy of an Abdoulaye Doucoure own goal. 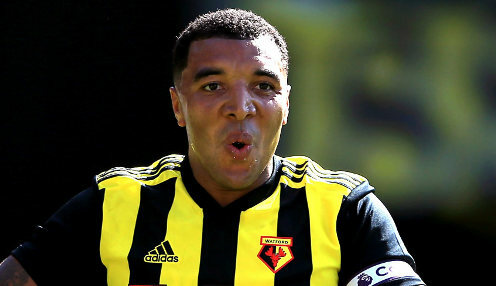 However, with about 20 minutes remaining the Hornets were level, Troy Deeney equalising from a corner. It was another Watford corner that led to the winner, Craig Cathcart getting on the end of it and powering past Michel Vorm in the Spurs goal. That was the final score and Watford join Liverpool and Chelsea at the top of the table with a maximum 12 points from the four games so far. They go into the international break in good heart, their next action at home to Manchester United on 15th September. They are 4/1 for another win with Jose Mourinho's side 17/20 and the draw 5/2. United were also in action on Sunday and, after two successive defeats, put their troubles aside to beat Burnley 2-0 at Turf Moor. Romelu Lukaku scored both goals for the visitors, giving United the lead just before the half-four when heading home an Alexis Sanchez cross. He made it 2-0 just before half-time, poking home after the ball found him in the box. United had the chance to make the game safe in the second half, Paul Pogba missing a penalty. Soon after that United were down to 10 men, Marcus Rashford seeing red but United held out and, after recriminations following defeats to Brighton and Tottenham, they go into the international break hopeful of getting their campaign back on track. United are 11/4 to finish in the top four at the end of the season with Watford 250/1 to achieve a top six finish.